Ladies, get your paint on. Another Victorian? But she said she loves mid century modern! I really do embrace most styles of architecture, with the exception of the fakes pretending to be something they’re not. Even then, you can’t blame the house. You have to blame the human. 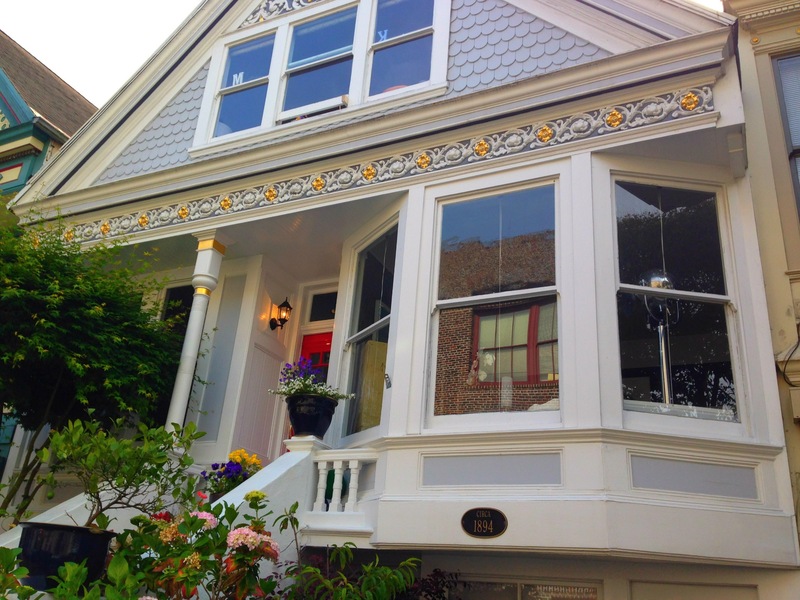 And who wouldn’t love a large dose of pretty in the form of a well-maintained Victorian? I live in San Francisco after all. 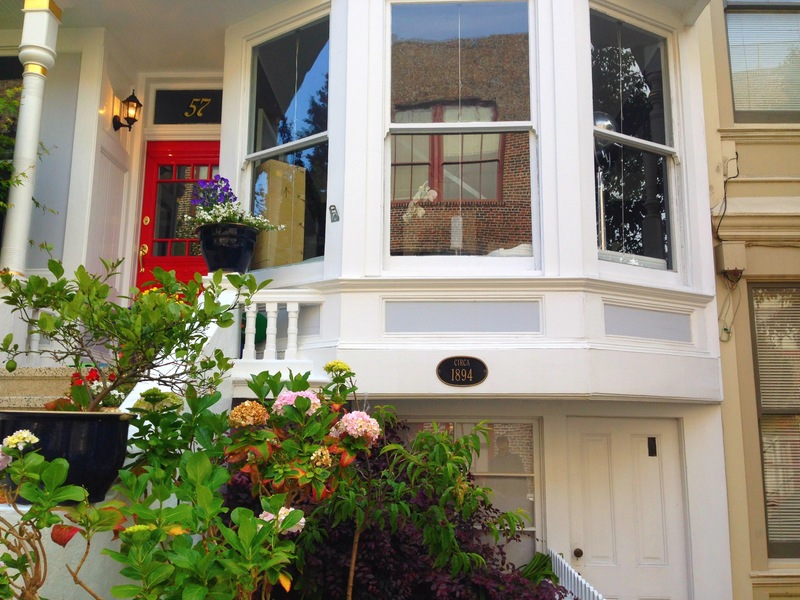 My hottie of the week is a residence located in the Haight-Ashbury neighborhood of the city. A former mecca for hippies, free love and…er….related activities, Haight Street is now home to boutiques, cafes, vintage shops and the famous Ben and Jerry’s at the iconic intersection. But don’t get me wrong, you still see tie-dye everywhere and can catch an occasional whiff of patchouli….and other leafy scents. Although the Haight has seen a lot of changes through the years, one thing remains the same: Painted Ladies/Victorian hotties are abundant in this Bohemian subculture. 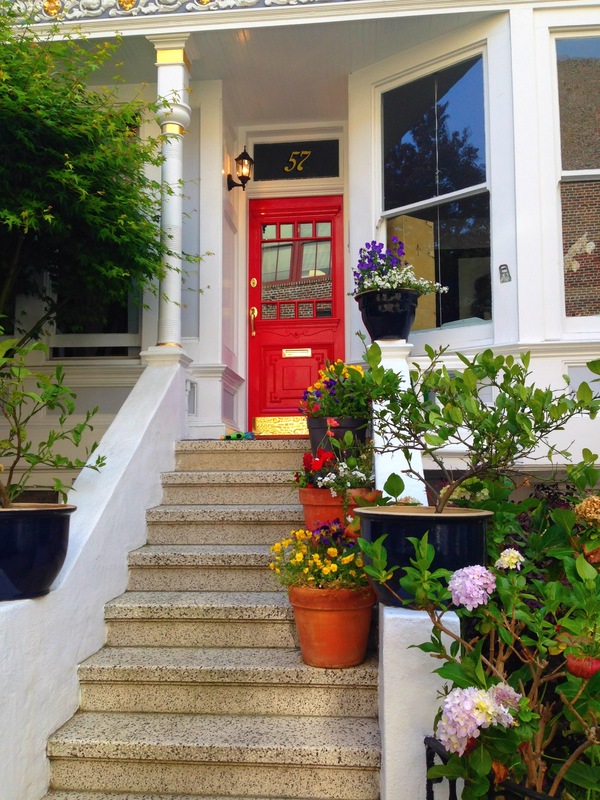 While strolling through the neighborhood over the weekend with a friend visiting from Seattle, my peripheral caught glimpse of a stunning facade, accented by a red door. Being Chinese, I’m naturally drawn to red doors. Being hot for houses, I had to stop and admire this hottie. 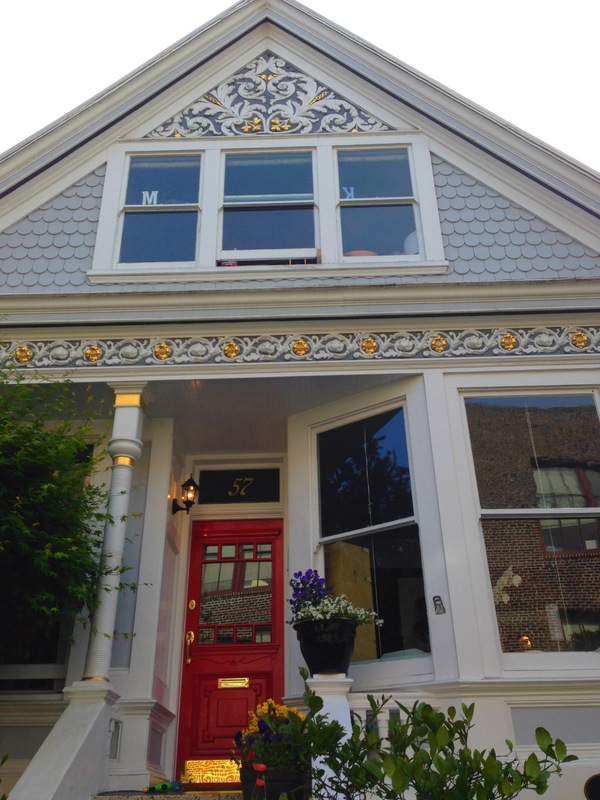 I am in love with the exterior moulding. And while I don’t typically care for scallops unless they’re pan-seared in butter, lemon and a dash of white wine, the scalloped siding around the attic window works well here. 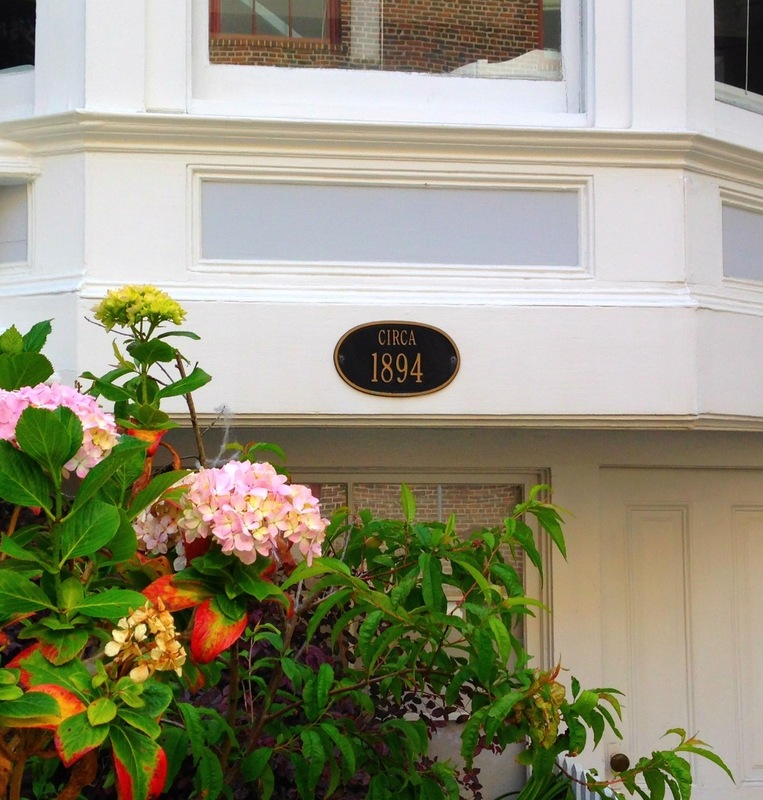 Another feature that caught my eye was the home’s historical plaque. Are you realizing its historical significance? This home has survived two major earthquakes and seen two major world wars! It’s been around much longer than the Rolling Stones, and they’re old. 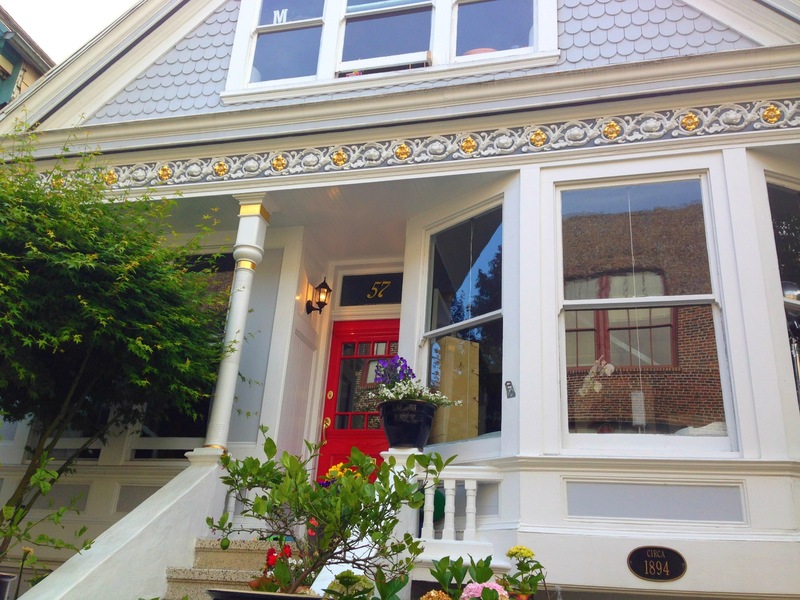 Love it or Haight it, this home has earned itself the right to be hottie of the week every week. So congratulations to the hottie in the Haight – may you continue to reign in your hotness for many years, musical legends and natural disasters to come. PS – the owner showed up as I was snapping some photos and jokingly said to me, “those will cost you $5 each.” I steered him to my blog to prove that I’m not a house stalker (except that I am) or staking out his home for a robbery (this is true). If you’re reading this, hottie of the week owner, congrats on your win. I’ll drop off a check for the photos next weekend.